Traditionally, the GOP's standout night of the election cycle is graced by handfuls of film, music, and sports celebrities who are offered the opportunity to speak onstage alongside high-profile politicians. 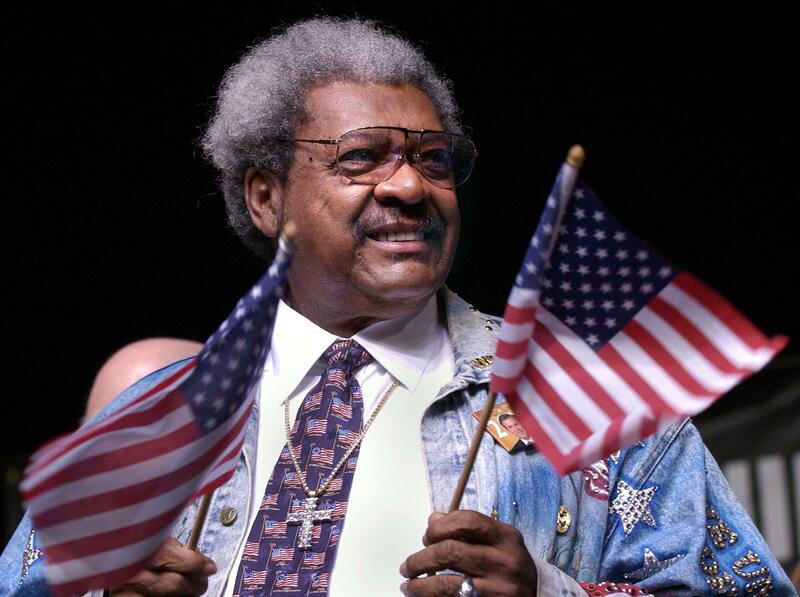 This year, there's a strong chance that boxing promoter Don King will be among Republican National Convention celebrities stepping into the political realm for a night. According to Politico, Trump said he entertained the possibility of inviting tennis pro Serena Williams and Ultimate Fighting Championship president Dana White, alongside King. The RNC Convention will take place July 18 through July 21 in Cleveland, Ohio. The city just so happens to be King's hometown and current residence. Earlier this month, the Associated Press' Steve Peoples asked King whether he would be involved in the Republican festivities. King's response was characteristically enthusiastic, as was his support for GOP presumptive nominee Donald Trump. "I'm going to be involved, definitely," King ensured. "He's my man." Though his endorsement was initially misunderstood, King voiced his political support of Trump for the first time at Ali's funeral, USA Today Sports reported. The boxing promoter argued that as a political outsider, Trump will reconstruct the American political system and improve transparency. Going on to endorse Bernie Sanders for vice president, King characterized himself as a "Republicrat": someone who defies political partisanship and supports the people's choice. With Trump calling all these people out, he (is showing he) can’t be bought, he can’t be controlled, the party can’t control him, he works for the will of the people. They are the only ones he has an obligation to. Because through the primaries, he was self-funded. They say he’s dividing and polarizing. No, it’s already polarized, it’s already divided. What he’s doing is exposing, he’s not polarizing. It was one of the most memorable things in my life to sit on that big, black Trump helicopter, both of them talking nonstop, not listening to each other. And I’m sitting there. It was probably the longest ride I ever was on. Both of them shut me up. If Trump asked King to speak at the RNC Convention, as he suggested he did, the boxing promoter's presence is nearly guaranteed.